Regional and rural communities will be hardest hit when the penalty rate cuts come into effect in July with workers losing $667 million in wages. Right now, before Parliament, Labor has legislation aimed at protecting the take home pay of retail and fast food workers. But in order for this important Bill to be passed we need the support of independent Members of Parliament like Cathy McGowan MP. Volunteers from the Protect Penalty Rates campaign are in her electorate right now collecting signatures asking for her support, but we need to do more. 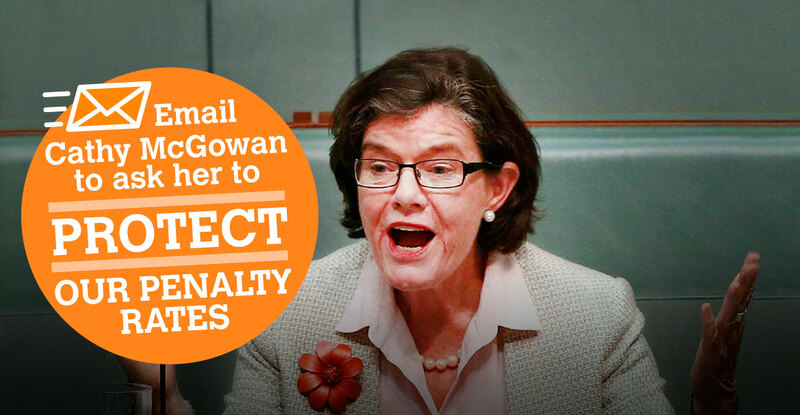 Will you help to convince Ms McGowan that protecting penalty rates is extremely important to millions of Australians by sending her a message? With your help, we can get laws passed in Parliament that will help protect penalty rates into the future. 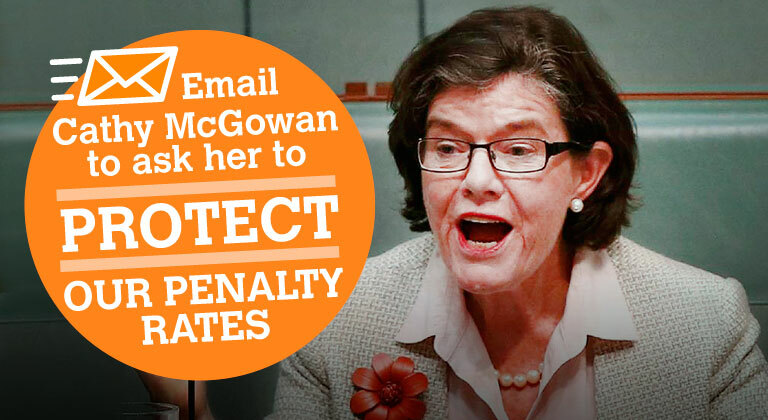 Ask Cathy McGowan to protect penalty rates now. Will you help to convince Cathy McGowan that protecting penalty rates is extremely important to millions of Australians by sending her a message?